Last month, the Folly Beach City Council proposed a new ordinance that would ban fishing for sharks near the Folly Beach pier out of fear of shark fishing endangering swimmers. The ordinance, that went on to pass this month, gained heavy criticism in the community. Among the critics, was the nonprofit organization Coastal Shark Tagging Initiative (CSTI). 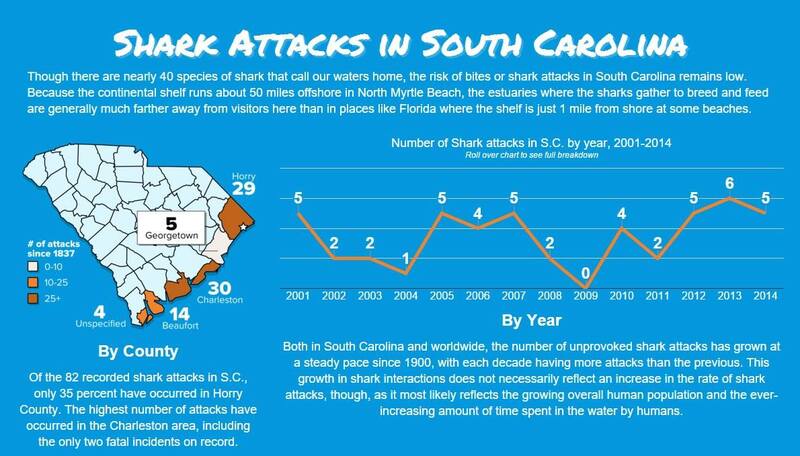 CSTI initially formed to gather information that would help them catch more fish, but, after gaining the attention of the South Carolina Department of Natural Resources, have since become focused on shark research. They even work collaboratively with the SCDNR now for tasks like determining the density of shark populations near piers, like Folly’s, through the use of acoustic echo-tags. In reference to the Folly Beach ordinance, CSTI released a statement saying, “It is unfortunate. It is unjustified. It is irresponsible…the claims made by proponents of shark banning ordinances are generally naive, over embellished, misleading, or primarily based on an opinion. Never are statements backed by numbers on data they or anyone else collected and on record.” They go on to say, “The reason it is irresponsible is because the only outcome of a ban we can determine absolutely, is that swimmers will enter the water with a false sense of security that they are swimming in shark free water…that somehow by passing an ordinance, the sharks go away like magic.” For this reason, the organization had urged the county to commission research in order to make a sound and educated decision on the necessity of the ordinance. To learn more about CSTI or to contribute to their cause, visit their website or their Facebook.